Whether you want to create your own Star Citizen Fan website, host a Star Citizen party, or simply get a nice wallpaper for your desktop, here you will find a handy guide and resource for Star Citizen fans (the “Guide”). We aim to give you guidance on what is and isn’t permissible within our rules and branding requirements, and to answer some of the most frequently asked questions. Like other FAQs, we may add to or clarify information within the FAQ over time for any updates in policy or to previous entries. Please check back from time to time. What assets are available in the Fankit? What can I use the Fankit for? How do I credit CIG when I use content from the Fankit on my website? Can I get a Star Citizen ringtone for my phone? I want to 3D print a Hornet to sit on my desk, are there files available for this? Are there wallpapers I can use for my desktop? What art can I use to make cosplay? Can I translate Star Citizen publications or broadcasts? Are there support tools for making Star Citizen machinima? I’m writing a story set in the Star Citizen universe. Is there anything I need to do if I want to publish it? Where can I download the fankit? Once you log in, follow this link to download the zipped Fankit. There are some rules and requirements for the use of the Fankit materials, including accepting the Fankit Agreement, which describes what is and isn’t proper use of the materials, including proper requirements for respecting their integrity (i.e. don’t alter, deconstruct, or distort them or remove intellectual property notices, such as watermarks, trademarks, or copyright notices) and attribution (i.e. include our trademark notice and either the Star Citizen community logo or a legal disclaimer distinguishing your work from an official creation). The Fan Style Guide presents a listing of the Fankit’s contents as well as a plain-language guide to their proper use in line with the Agreement. The Fankit currently includes wallpapers, logos, sound clips, and character art for certain uses as indicated herein. We aim to expand the contents of the Fankit over time. You may use the contents of the Fankit for showing fandom- but not for business (commercial) use! Share your fandom – don’t charge other fans for your fandom. For example: your Star Citizen fan projects shouldn’t be hidden behind paywalls or require subscriptions. This includes streaming, addressed by our video policy in our Terms of Service: https://robertsspaceindustries.com/tos#video_use and all other applicable terms. Common uses for the Fankit include social fan sites, stream graphics, personal computer or phone themes, and social media postings for the purposes of showing enthusiasm, support, and personal, non-commercial interest. Physical goods or merchandise (like shirts or other clothing, stickers, posters, etc.) present a different question. Since the production of merchandise and physical goods often involves money or payments of some kind, making physical “fanwear” or other goods can approach a level of commerciality that is not appropriate. We know that this area can present a lot of confusion, and know that most fans really want to do right by the game and by us. If you want to make Star Citizen-themed fan projects, you can request permission by submitting a ticket addressed to "Legal Department: Fan Item Request". If permission is possible, you will receive a response indicating any changes or updates to the design or scope of use needed to receive permission. If you receive a negative response or do not receive a response, you must assume that permission has not been granted. This notice must be placed where it is open, obvious, and can be readily seen by any visitor to the page. It should not be “hidden” in any way (i.e. printed in a smaller font than other notices, or tucked away in an obscure place). If you do not include this or other notice that easily distinguishes your site from an official site or social media page, it will not be considered in keeping with our Fansite policy and we necessarily reserve all rights in law and equity to protect the game and our branding from misappropriation or brand confusion. Your site must also include a link to the official site so that anyone who wishes to find it can easily do so. You must also refrain from using any of the following official brands and marks in your site URL (domain): “Star Citizen”, “Roberts Space Industries”, and “Squadron 42”. Also, you must not use the name of any in-game entities, (i.e. ship manufacturers) as it may create confusion among visitors trying to distinguish our official site from an unofficial one. (Besides, our in-game entities have their own lore and identity; as a fan, you should be proud of your own story instead of trying to co-opt someone else’s). One of these logos should be included, along with the trademark notice indicated in the fankit materials, in the corner of all imagery at no less than 50% opacity and of a legible size. Other than the opacity change and resizing appropriately, these logos should not be altered in any other way including but not limited to recoloring, warping, reversing, or texturing. These are contained within the LOGOS folder in the fankit along with other provided logos for fan use. If you believe that the use of either of these may conflict with your work artistically, please refer to the Fan Style Guide included in the kit for further instructions on how to get approval for alternatives. We have included a few audio clips in the Fankit suitable for use as ringtones, alerts, or gentle alarms. Meshes from the website ship holoviewer are available for download and included in the Fan Kit. Bear in mind that the meshes are a digital asset and their suitability or completeness for the purpose of creating physical items varies, as the various digital ship models are subject to further development. Please see the request form below; if you wish to 3D print a model for yourself, you may request permission to do so, but permission for any other use is subject to RSI’s permission, which may be granted or withheld at our sole discretion. In the digital download Fan Kit we have included some iconic imagery from Star Citizen that you may use as Wallpaper for your PC or mobile device. We have included some character shots in the Fan Kit for inspiration and you can find additional outfits in the in-game shops. In general, we do not endorse or authorize the creation of physical goods embodying or incorporating our intellectual property for commercial purposes or profit. We generally appreciate the efforts of our community when translating our media into other languages. Clearly label your translation as a fan translation, rather than an “official” one. If there are aspects of the translation, or the work accompanying or surrounding it, that are problematic, such as inaccuracies, misleading information, or misuse, we reserve the right to contact you or your service provider to request correction, retraction, or removal. The game includes a range of camera director options. You can get an overview in this episode of Around the Verse. Combine this with future implementation of FOIP and you’ll have a rich environment for creativity. Keep an eye out via Around the Verse for further developments. Fanfiction about Star Citizen or Squadron 42 is any work of fiction that includes, incorporates, references, or otherwise uses any content, assets, characters, lore, or other material sourced from Star Citizen, Squadron 42, related websites, or other materials related to their development that are owned by RSI or its affiliates. 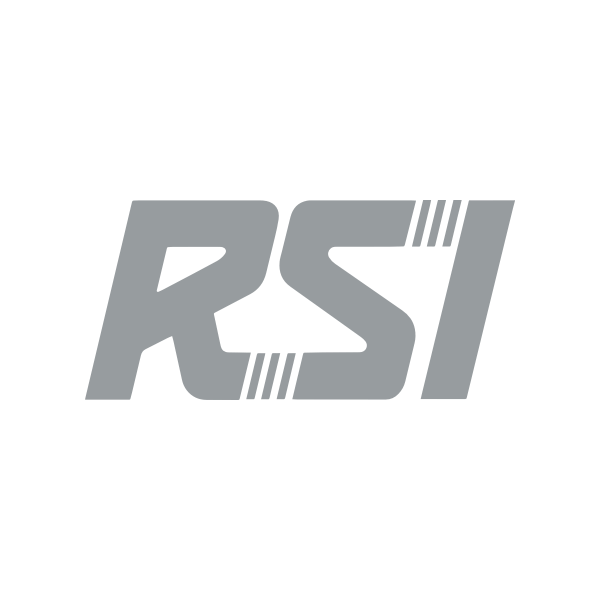 Writers must acknowledge that RSI and its affiliates are in the business of creating the game and its related content, including fiction, and that the writers and creators of Star Citizen may already be planning or working on similar material or concepts that which are published or have yet to be published. Fanfiction is permitted on the condition that the author submit his fiction to RSI and sign a related Release Agreement, which memorializes a promise between the writer and RSI that the writer will not attempt to assert any claim against RSI or its affiliates based on the fan fiction. As long as the terms of the Release Agreement are observed, RSI will permit the non-commercial publication of the fan fiction to be shared with the community. Fan fiction may be used in this way. It may not be made into a screenplay, performed, made into a fan film, included or incorporated into any other product or adapted to any other use without express written permission from RSI, which may be granted or denied by RSI at its sole discretion. If a Release Agreement is not submitted or granted, or if the Release Agreement is breached, the work of fan fiction is not authorized, and RSI reserves all rights under the law, including the commencement of legal proceedings, to enforce against the illegal or unauthorized use of its brands, intellectual property, or other content. You can download the fankit by clicking here.